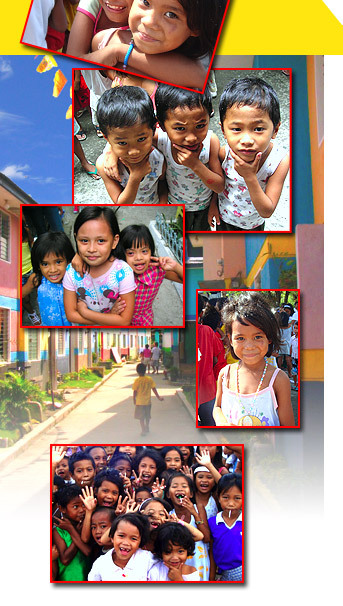 The Padua Charitable Fund is providing 35 families living in slums in Paranaque Philippines with new decent homes. This current housing project and monitoring is at the Sapang Maligaya village (Baranggay Sun Valley, Paranaque). Construction of the first 12 houses commenced this July. The building of new houses begins in an underprivileged area of Paranaque. The ground-breaking ceremonies were aptly held on the 5th of July, the birthday of the late Blitz Padua, in whose memory the Padua Charitable Fund was founded. The Padua Charitable Fund is proud to be funding this project. PCF has also sponsored the building of 4 houses in the GK Eldorado (Airlift Asia) Village and a number of PCF beneficiaries are volunteering on the construction site. Additionally, in a Laguna housing site, the PCF has helped 4 families, employees of Islas Designs, complete their relocated homes following eviction from the slums. The Sapang Maligaya village housing project would not have been possible without the generous donation of First State Company (based in Singapore and Scotland). Maraming Salamat Po First State!